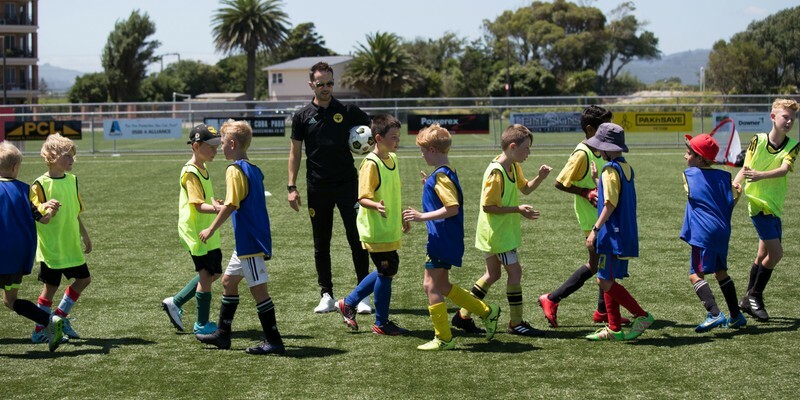 Secure your spot in a Wellington Phoenix Football Holiday Programme today! This is an opportunity to play your favourite game all day, develop your skills, make new friends and rub shoulders with members of the Wellington Phoenix Academy. Suitable for ages 8-12 and all abilities. The first day of the programme consists of football skills-based activities and games. On the second day we run a mini World Cup Style tournament with a round robin competition, followed by finals. Please note that Wellington Phoenix first-team players will be participating in a pre-season tour of China during our July holiday programme dates, and will not be able to visit the programmes. Registrations close Friday 6 July. Please note registrations will close before this date if each programme reaches its limit of 60 children. For any questions, contact our Community Development Officer Becky Cooke at beckyc@wellingtonphoenix.com.